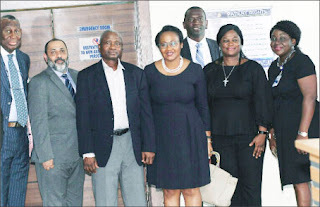 As part of its efforts to increase demand for quality healthcare services, one of Nigeria’s leading healthcare facility, Lagoon Hospitals, has re-commissioned its Ikeja Awolowo Road facility. The hospital which was established as a mother and child facility has now evolved to accommodate a broader spectrum of health care services, offering multiple specialties to its clientele. Among the infrastructural changes within the healthcare facility is the addition of a newly built ultra-modern theatre with increased capacity for more surgeries, such as laparoscopy, gastroscopy, colonoscopy and urological procedures. The next new upgrade in the Ikeja facility of the Hospitals includes the expansion from a 22-bedded facility to a 40-bedded facility. Similarly, the Sick Baby Care unit has been expanded to a seven-bedded unit with facility for Continuous positive airway pressure (CPAP). In addition, a new orthopaedic and physiotherapy suite with improved facilities, Health Assessment Clinic with state-of-the-art equipment including, facilities for mammogram services, exercise, stress testing, Spirometry and Digital X-ray. In line with its commitment to deliver excellent service in the healthcare industry, the hospital has also improved its in-house staffing to include an in-house Neurologist, a Neurosurgeon, Urologist and a Nephrologist, supplementing the available range of clinical services in the facility. Dr. Jide Idris, Commissioner of Health for Lagos State, who was the special guest of honour at the ceremony, while unveiling the upgraded facility said it is a significant achievement which will help stem the tide of medical tourism in the country. Idris was optimistic that Lagoon Hospitals will continue to advance medical excellence by integrating clinical care and research to shape medicine for the future in the country and beyond. Commending the upgraded facility, the Commissioner of Health praised the management of Lagoon Hospitals for constantly delivering on quality healthcare. On his part, Max Coppoolse, the Chairman of Hygeia Nigeria Limited, noted in his address that “the new improvements mean we can continue providing modern, high quality care, while focusing on patient comfort, and dignity. Mr. Rajeev Bhandari, the Chief Executive of Lagoon Hospitals who spoke on behalf of Lagoon Hospitals, said; “The new facilities at the hospital are poised to improve the quality of service and infrastructure for patients and staff, both in the immediate future and in the years to come. This is a step towards our journey and commitment to provide healthcare of international standards. Also in attendance at the event were the founders of Lagoon Hospitals, Professor and Professor (Mrs.) Elebute, as well as other healthcare personalities. Lagoon Hospitals Ikeja is reputable for its focus on patient care and quality. Driven by this principle, the hospital continuously strives to provide international standards of health care, which has led to the recent upgrades within the Ikeja facility. Lagoon Hospitals has successfully pioneered ground-breaking medical achievements since its establishment in 1986. In 2011, Lagoon Hospitals, Apapa and Ikeja, made history by becoming the first Hospital in Sub-Saharan Africa to earn accreditation from Joint Commission International (JCI), the worldwide leader in improving the quality of health care through voluntary accreditation. This accreditation certified that the quality of care offered in Lagoon Hospitals met international standards. In 2014, Lagoon Hospitals was the first private hospital in the country to successfully perform an open-heart surgery. Lagoon Hospitals is part of the Hygeia Group, Nigeria’s foremost private integrated healthcare services provider.